A few hours from now, Chicago’s NHL franchise will square off against Boston’s NHL franchise in a series that will determine who claims hockey’s greatest prize — the Stanley Cup. Yes, it’s a battle between two of the original six teams that epitomized the very best in the sport for the past 80 or so years. Like all of the major professional sports, the National Hockey League started started small — very small, in fact — then grew to build revenue and reach a broader market. 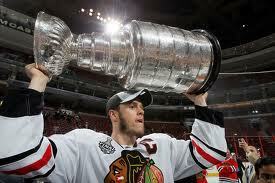 Will Blackhawks captain Jonathan Toews get to hoist the Cup again? Of course, I’m rooting for the Blackhawks, a team I have followed (albeit mostly from the proverbial “virtual cheap seats” better known as television and radio) off an on since I could remember. Growing up, my brothers, my Polish-born grandmother and I watched the Hawks on our black and white TV set Saturday nights while our parents went out for a night on the town. The play-by-play guy was the legendary Lloyd Pettit, and I can still hear Lloyd bark in rapid-fire bursts about the action taking place on the ice. No, we didn’t have high-definition, wide-screen television with theater-quality sound; but we had Lloyd and our imaginations to provide some realism. My grandmother (they were known as “Busha” in the colloquial) didn’t really understand the game that well; but she liked Hawk star center Stan Makita because she thought he was from the old country. Actually, Makita was originally from what then was called Czechoslovakia, but like most pro players grew up in Canada. Certainly one of the coolest crests (don’t call it a logo) in all of professional sport. Golden Jet — equaled baseball players in status to me and my friends, as we did our best at hockey played on a frozen section of Eckhart Park around the corner from our home on Walton Street. Everyone followed the Blackhawks and played hockey, from Polish-American kids like me to Izzy Molina, who was from Puerto Rico. For years one of Chicago’s strongest sports franchises based on fan support, the Blackhawks sunk hard and fast in the first decade of this century. Attendance at home games plummeted; and the team lacked focus, leadership and wins. New management, better players and certainly outstanding marketing and public relations efforts — surely public relations played some role — have brought the team back to the pinnacle of hockey. In a post from 2010, I chronicled some thoughts of that magical year, when the Blackhawks won the Cup for the first time since 1961. 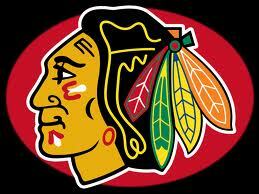 My prediction: Blackhawks in six. And, that ain’t just a bogus line of PR.